Researchers at Washington State University in Spokane have identified a potential new approach to combating the joint pain, inflammation and tissue damage caused by rheumatoid arthritis. Their discovery is featured on the cover of Arthritis and Rheumatology, a journal of the American College of Rheumatology, in print Tuesday, Feb 16. Rheumatoid arthritis is a debilitating autoimmune disorder that mostly affects the small joints of the hands and feet. It causes painful swelling that progresses into cartilage damage, bone erosion and joint deformity. “Existing drugs for rheumatoid arthritis are expensive, immunosuppressive and sometimes unsuitable for long-term use,” said Salah-uddin Ahmed, the lead WSU researcher on the project. 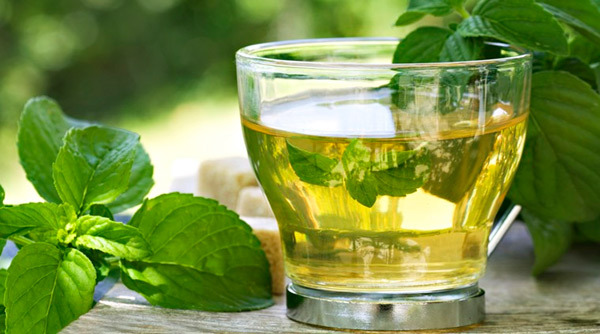 His team evaluated a phytochemical called epigallocatechin-3-gallate (EGCG), which is a molecule with anti-inflammatory properties found in green tea. Their study suggests that EGCG has high potential as a treatment for rheumatoid arthritis because of how effectively the molecule blocks the effects of the disease without blocking other cellular functions. “This study has opened the field of research into using EGCG for targeting TAK1 — an important signaling protein — through which proinflammatory cytokines transmit their signals to cause inflammation and tissue destruction in rheumatoid arthritis,” said Ahmed. The researchers confirmed their findings in a pre-clinical animal model of human rheumatoid arthritis, where they observed that ankle swelling in animals given EGCG in a 10-day treatment plan was markedly reduced. Ahmed has focused his research on studies related to rheumatoid arthritis for the last 15 years. The WSU team, which includes researchers Anil Singh and Sadiq Umar, has been studying rheumatoid arthritis and other inflammatory diseases at the WSU College of Pharmacy in Spokane since 2014. They joined with researchers from the National Institute of Pharmaceutical Education and Research in Hajipur, India, for this project.